A collar is a must-have attribute of outside dog activities. 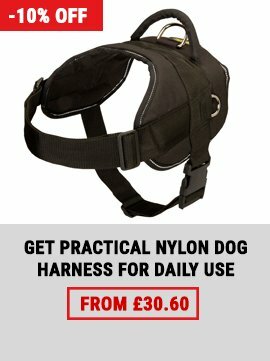 It makes outings safe for a dog and people around. 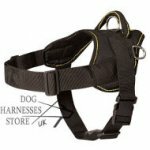 Proper collar helps to control the dog reliably and doesn't hurt it. 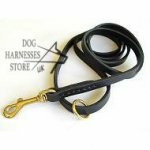 Buckle type is one of the major features you have to consider when get the collar for your dog. 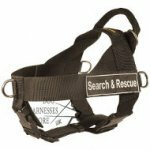 The most convenient and secure dog collar buckle types are traditional and quick-release fasteners. 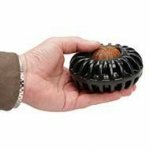 Which one is best for your pet? Dog collar belt buckle is a standard model. Width of a buckle and a collar are alike. Collars with classic buckles are in widespread use for medium and large breeds. High-quality buckle is weld and break-resistant. Belt design makes the buckle easy and convenient in use. 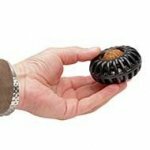 The buckle will not unfasten or break even under heavy loads. 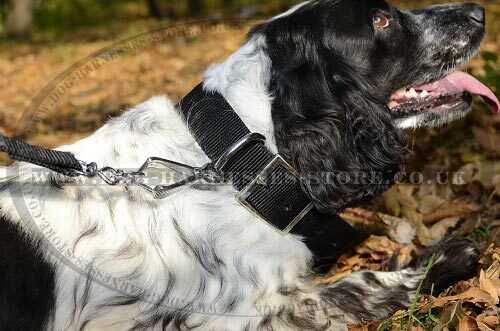 Each buckle dog collar has 5 holes for size adjustment. The distance between holes is 1 inch (25 mm) as usual. 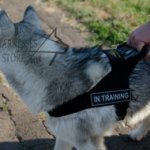 You can adjust the collar 2 inches smaller, if the dog is still growing or loses weight or 2 inches larger when the dog is grown up or put on some weight. The actual size of your dog's neck is the distance between one end of the collar to the third hole. 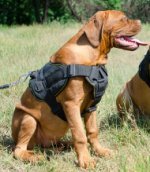 Wide collars with standard buckles are suitable for strong and active dogs. 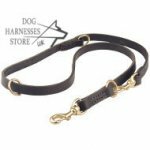 Classic collars of narrow width are excellent for puppies, calm and well-trained dogs. 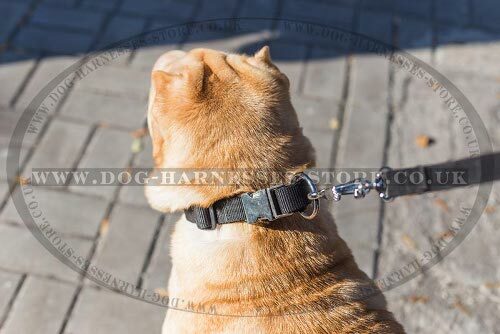 Dog collar quick-release buckle is a model, which is put on and taken off with one click. 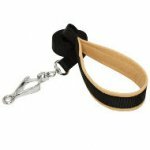 There is a special buckle that simplifies dog collar fastening. 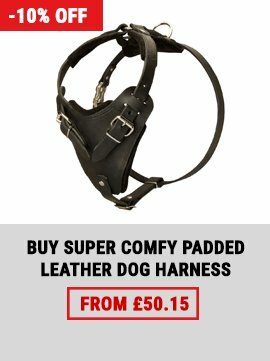 It will take seconds to collar the dog due to this buckle. Quick-detach buckle is high-tensile. 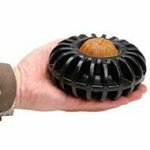 It won't unfasten unexpectedly and will stand pulling force of a powerful dog. Quality mechanism will not become loose during the time. It will serve the dog for a long time. 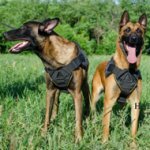 There are no holes for size regulation on quick-release dog collars. 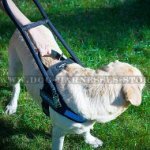 Special length adjustment serves to fit the collar perfectly to the dog's neck size. 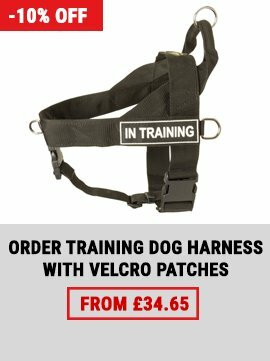 This option is very convenient and ideal for a growing puppy or a young dog. You can always change the collar length when necessary. 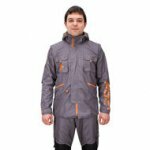 Both buckle models are reliable and suitable for daily use. It depends on your dog's age, size and temper which one to get. 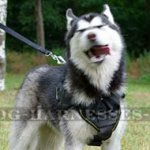 Every dog has its own bodily constitution and it is better to consult a specialist if you are doubt regarding one or another collar. Please, contact us and we will help you to choose the best suitable collar for the dog.